Pastor Christy considers getting direction from dreams and recalls Martin Luther King's "I Have A Dream" speech. 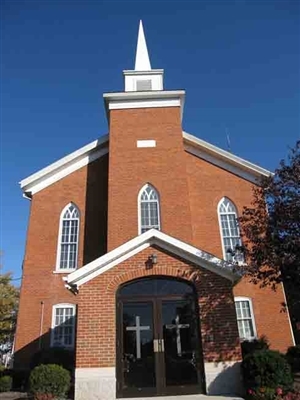 This message is available as a podcast recorded live at Ottawa Presbyterian Church in Ottawa, Ohio during the worship service. Click the podcast image to listen now or right click the image and choose "Save As" to save this message in mp3 file format on your computer for playing later. Pastor Christy considers what "Here's Your Sign" means in the Christmas story and in our lives as a sign to others. Rev. Dr. Harry David Rose returned to preach at the 75th Anniversary Celebration of the Goodyear Heights Presbyterian Church congregation on June 3, 1990. In April 1973, Dr. Harry David Rose preached his last sermon as pastor at Goodyear Heights Presbyterian Church in Akron, Ohio. It was also his first sermon he preached at that church.